First, I’d like to apologize for missing a Sky Scarf Saturday post 2 weeks ago. But this post is going to make up for it. 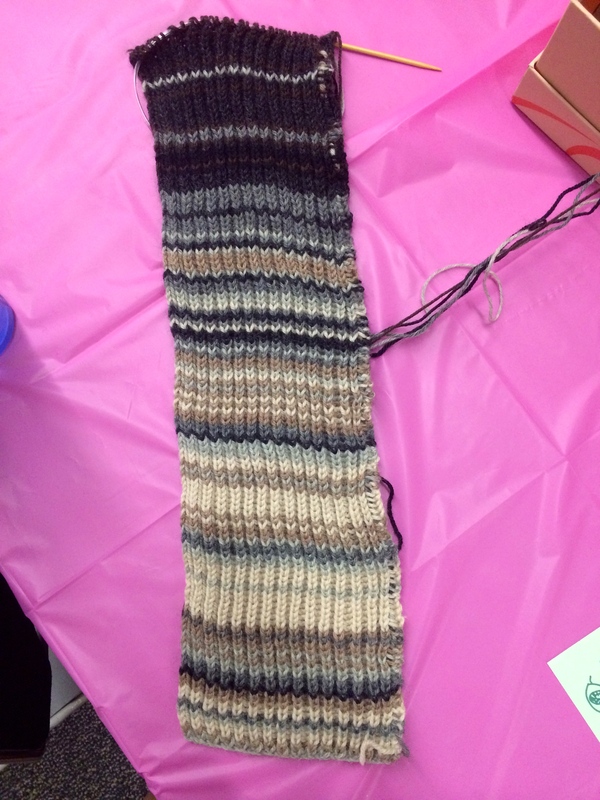 Today has been an exciting day in the knitting world of GirlMeetsYarn! I was showing my work at a showcase by a new club at UD called DIP (Design, Innovation, and Positivity Club). Like I mentioned in my previous post, one of the club’s founders came across my work through a Google search. I was unsure of what to make for my exhibit. I had never displayed my work in a situation like this before. But after a bit of thought, I had a spark of genius of combining my work with technology and blogging. After all, it is what I do on here. I decided on a photo collage mimicking the style of Instagram. I had square photos of some old Instagrammed and edited photos printed at Walgreens and painted an art board. I was so amazed by the result! I’m definitely keeping it and hanging it up in my new apartment next year. But after I got this ball rolling I couldn’t stop coming up with new ideas for by display. I knew I was going to demo by finishing up some rows of my Sky Scarf and crocheting some more granny squares out of scrap yarn. However, I wanted it to be interactive! So I decided that I would let observers pick the colors for my new granny squares. At the last minute I also decided that I was going to play the video of me spinning yarn on loop to demonstrate how I made my own yarn. Here’s how the display turned out. Everyone who came to look at my display and talked to me about my work was so nice! Everyone seemed genuinely interested and impressed. I handed out a lot of business cards, so I should get this blog cleaned up a bit and update my resume! A lot of people had questions about Etsy and how I made things. It was an amazing experience. I especially loved talking to the older women and there was one really adorable little girl who helped me pick out colors for a granny square. People were very interested in my Sky Scarf. What can I say, it’s probably the coolest project I’ve taken up in my entire 10 years of knitting. So now for your Sky Scarf update. I definitely want to keep doing exhibits like these in the future. Maybe it’s time for my knitting to be stepped up into more of an art form. We’ll see where this goes. ‘Til next time! I thought that I was not going to survive last semester with marching band, work, activities, and school, but I somehow made it. With a more than decent GPA. Except I wasn’t taking more than one reading intensive course. This semester I’m taking two. And a science. 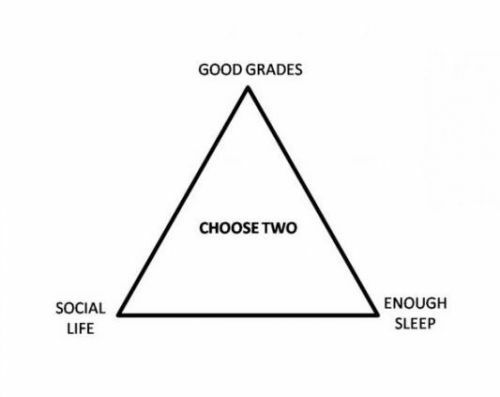 And two business classes that will probably require group projects. I don’t know how I’m going to do it. But material-wise, I think I’m going to thoroughly enjoy them. Well, except my science (Nutrition) because I only need it to fulfill a stupid university requirement. I’m going to be studying operations management, entrepreneurship, global gender politics, and modern Asian history. It’s literally everything I like learning all in one semester. I just hope that all of the work won’t get to me and make me hate these things. I’m especially excited and/or anxious for my women’s studies and Asian history class. With my dive into activism and social media activism in particular recently, I am constantly vigilant about where I am obtaining information nowadays. As I sit through my women’s studies and Asian studies lectures, I sure as heck will be making sure the voices of POC are adequately represented. Especially because these courses are being taught by white professors. I don’t want to call anything or anyone out this early on the semester on a public Internet space, but something just irks me about white professors who are enraptured and obsessed with the history and culture of an Asian country. I would really prefer learning about Asian history from an Asian professor. These professors better be ready for my wrath. I will take a jab in the grade to make my opinions heard at this point. But anyway, on top of all my school stuff, I have my first appointment with my career counselor tomorrow, who is actually one of my bosses. With all these things coming at me, I have no idea what direction makes the most sense to go into first, but as long as I end up where I want, doing what I want to do, I will be happy. I began this blog worrying about the semester, but writing this down is making me feel a lot more driven and productive. I need to do blogging therapy more often. Because I clearly won’t have time to regularly knit. By the way, I have a feeling that the glove that I knitted will be pair-less for a while. I hope Spring 2014 is ready because this girl is in her fighter stance. Fall 2013 is finally over. And I am both relieved and anxious of the fact that I am now more than halfway done with my college career. I somehow did all of them, plus marching band, plus having a job, plus occasionally going to the gym. I don’t know how but I did it all, but it’s been done. Yes, I feel like Superwoman. You know what my most hated excuse is? I don’t have time. Do not even try to talk to me about not having time when I was going straight from class to work to activities some days of the week not returning to my apartment until 9pm to start my homework. If you want to do it, you’ll get it done, trust me. You have time, it’s just not a priority. It’s only now that I realize how much pressure I’ve put on myself by being involved on the executive board of so many clubs. It’s too soon for my peers to be telling me “when you are president next year.” Although I believe that I would a great leader for some of these groups and I would love to be one, if granted the opportunity, I am afraid of how much responsibility I will be putting on myself. The problem with my leadership is that I cannot trust other people to things for me. If I want it done right, I will do it myself. Do you ever just get so obsessed with a math problem that you spend every spare minute you have all day trying to figure it out? In retrospect, it probably wasn’t the best use of the past 4 hours in which I could have spent getting a head start on my reading for this weekend and next week (aka birthday hell week). But I just can’t help it. When nature tempts me with a complicated math problem, I will stare it down until I can solve it. I’m not sure if it’s a good or bad thing. On one hand, I have perseverance and dedication. On the other, I have no tolerance for giving up even when it means I could be doing something more productive. It’s just that the math class I’m in this semester is the toughest I’ve ever taken. The material is complicated, there’s calculus involved, and the professor is not the best teacher. And I’m not sure that I want to continue my math minor anymore, but I only have to take this class and one more next semester to complete it, so I’m sticking it out. While I wouldn’t become overly distressed if I got a *gasp* C in this course, I’d like to give it my best shot, even if it requires working on my homework more than a week before it’s due and spending hours on one problem. Or maybe it was the fact that I was feeling like blech today and somehow that tiny epiphany I feel when figuring out a math problem made me feel a little bit better about myself? Like I accomplished something after skipping the gym, sitting through my least favorite class (this math class), and having a slow day at work. Maybe. 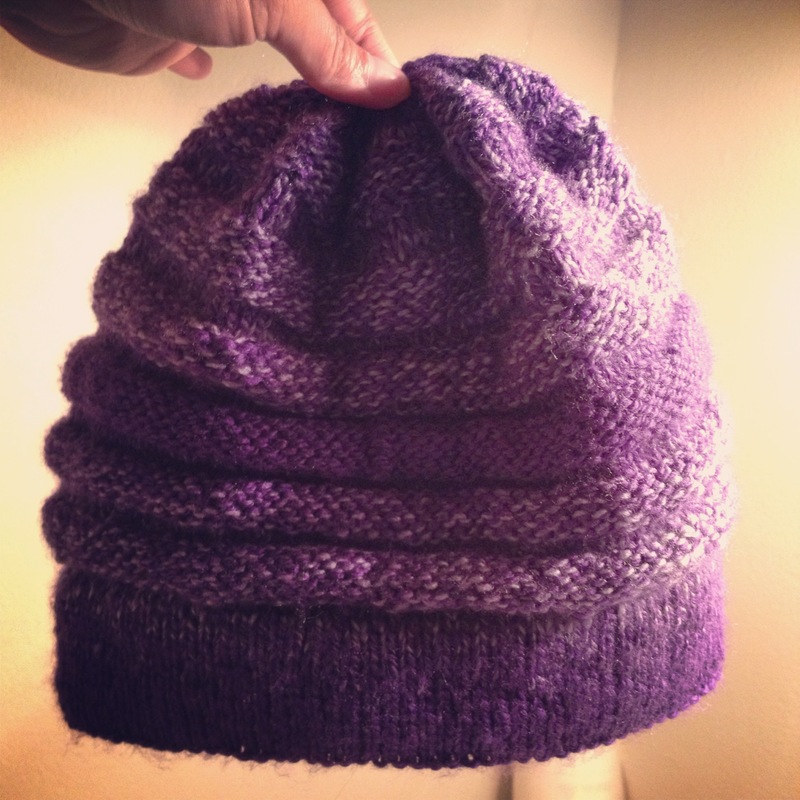 But in other news, I finished knitting a hat for my friend Carol, who was able to locate the four yarn bombs I placed on campus last Spring. 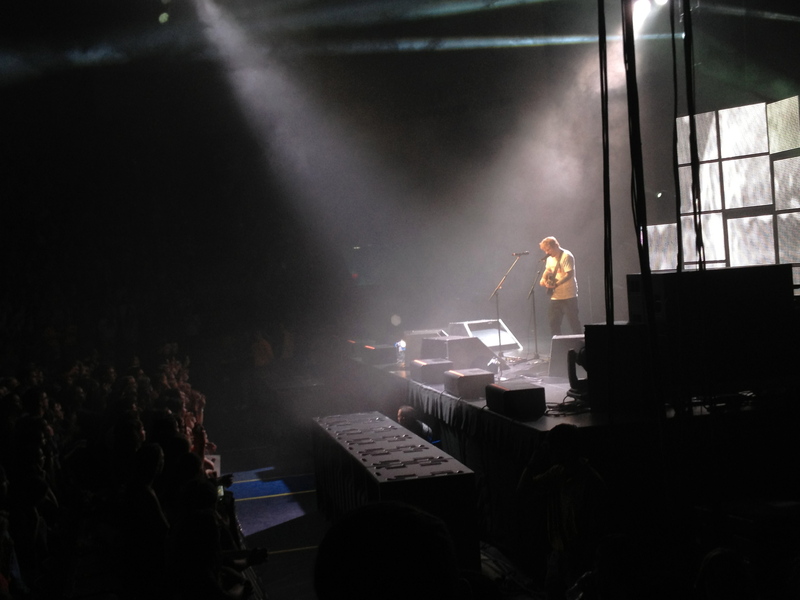 I saw Ed Sheeran play at UD the other night. And now I’m in concert withdrawal, so Kyle Patrick or Jesse Ruben come to the tri-state area please because I need to see you again! Ed was amazing. I had doubts about his stage presence but he really knew how to control the crowd. And tomorrow (well, today at this point) I’m meeting my mentor! Whoo – excitement!